So many ridiculous antichoice bills are introduced on a regular basis that, after a while, they start to blend together — a forced ultrasound here, a 24-hour wait there. 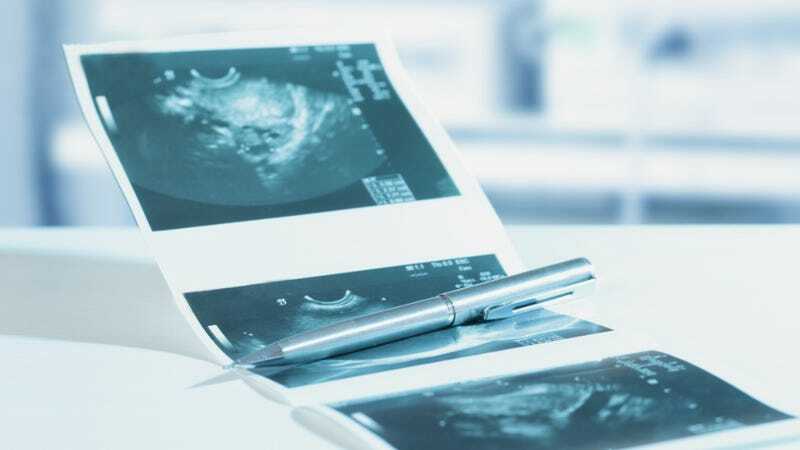 This heartbreaking Texas Observer story, written by a woman affected by Texas' new sonogram law, is a necessary reminder that the laws we read and talk and tweet about are already stripping women of their basic rights. The surgical procedure our counselor described was horrific, but then so seemed our son's prospects in life. In those dark moments we had to make a choice, so we picked the one that seemed slightly less cruel. Before that moment, I'd never known how viscerally one might feel dread. "I don't want to have to do this at all," I told her. "I'm doing this to prevent my baby's suffering. I don't want another sonogram when I've already had two today. I don't want to hear a description of the life I'm about to end. Please," I said, "I can't take any more pain." I confess that I don't know why I said that. I knew it was fait accompli. The counselor could no more change the government requirement than I could. Yet here was a superfluous layer of torment piled upon an already horrific day, and I wanted this woman to know it. "My experience, it seems, was a byproduct of complex laws being thrown into the tangled world of abortion politics," Jones writes. "But what good is the view of someone who has never had to make your terrible choice? What good is a law that adds only pain and difficulty to perhaps the most painful and difficult decision a woman can make?" Her entire story is hard to read but definitely, definitely worth it.